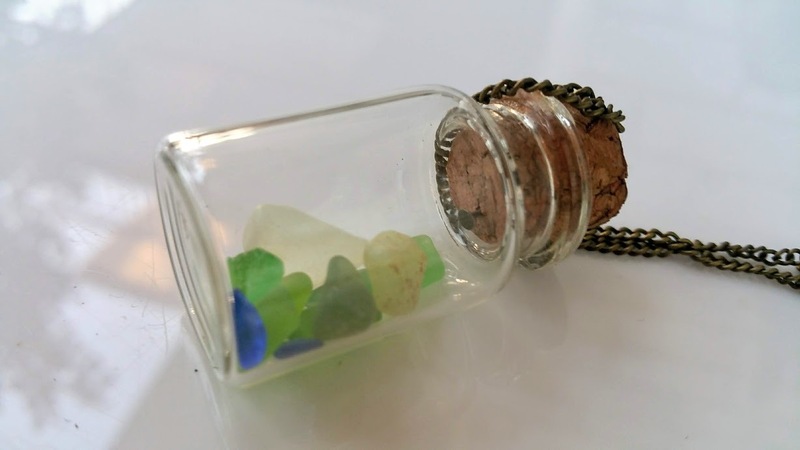 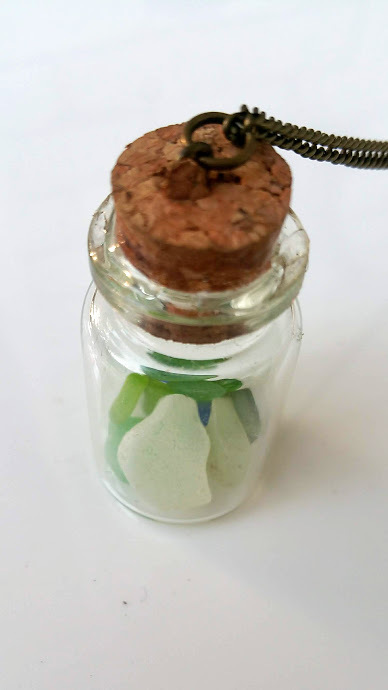 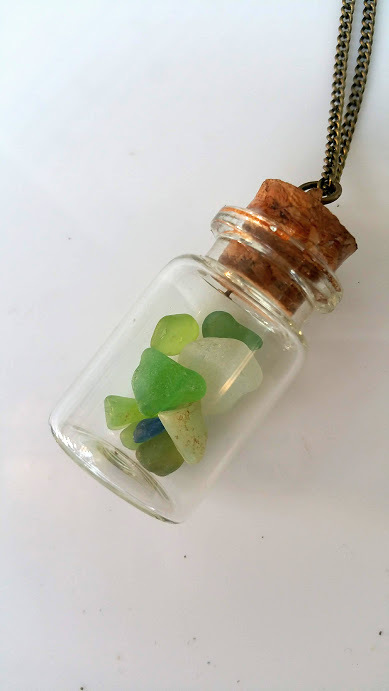 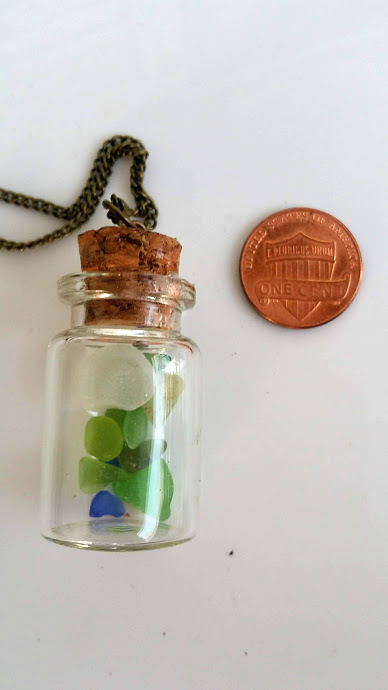 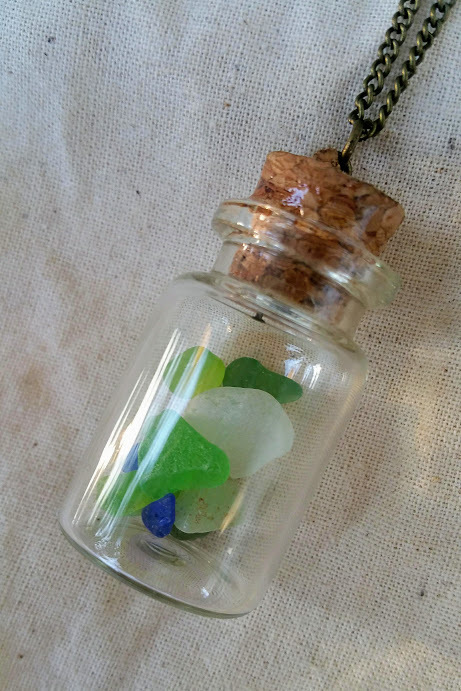 Authetic multicolored seaglass from the famed Glass Beach in Kauai was tumbled for dozens of years in the surf to create the smoothness of the glass. These pieces were found by the artist and combined to bring out the spirit of the Hawaii. 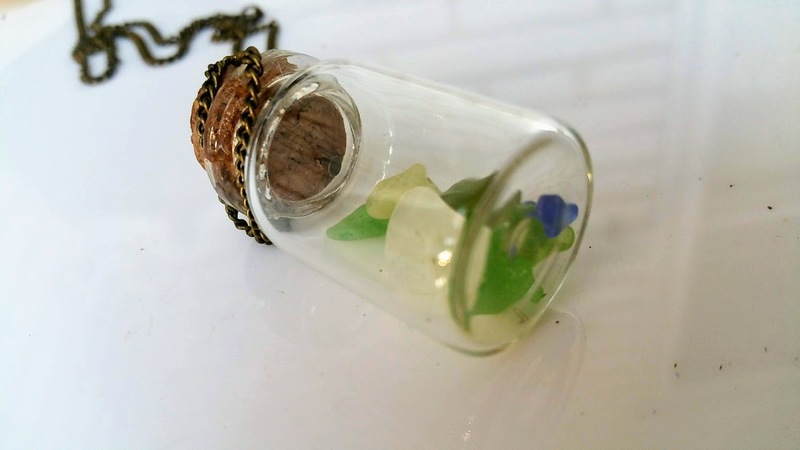 This Goddess's Message Bottle is a beautiful keepsake and wearable work of art. 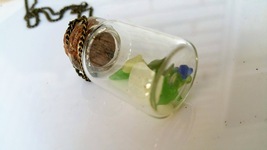 Part of the Pacific Goddess Collection.